Here is the two graph version of Sandy. Sandy is a negative supply shock and not a positive demand shock (that is what the journalists – and some keynesians – apparently fail to understand…). The typical “positive demand shock” story goes like this. Sandy destroys stuff. The response is to rebuild that stuff. This, in turn, drives demand up. The stuff that Sandy destroys may well result in a negative supply shock (as productive capacity is impaired), I’m not denying that. However, if the above logic is correct, then the right argument would be that the supply shock dominates the demand shock, *not* that there is no demand shock. fsateler, yes it might be that some consumption and investment – both private and public – might be moved forward. However, AD is determined by the fed – so if the “positive demand shock” pushes AD above whatever target the fed has for AD the fed would counteract that by a less accommodative monetary stance than otherwise would have been the case. In that sense the “Sandy multiplier” is zero in the same way as the fiscal multiplier – as it follows from the Sumner Critique. Only if current AD is consistent with the Fed target. It is not so clear to me that the Fed actually wants AD to stay at the current level (the Fed did call a few times for fiscal stimulus, so it may well be that it wants higher AD but for some reason doesn’t deliver it). 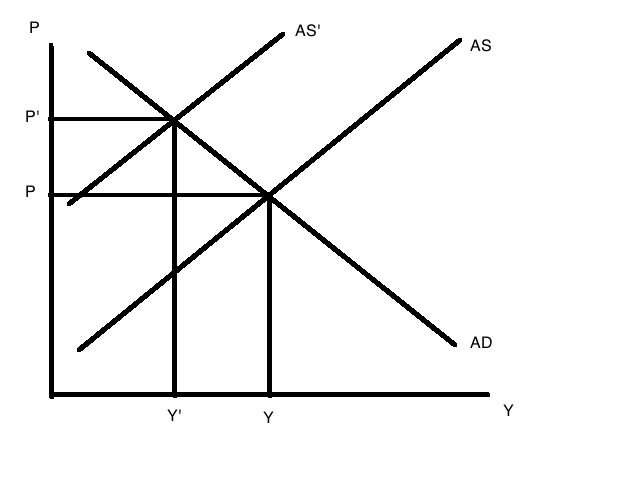 The alternative analysis for the second graph is a rightward shift of the AD curve as the FED and the Treasury attempt to counteract the fall in Y (aggregates obscure the composition of Y), providing subsidies for rebuilding etc., producing inflation and further distortions. Peter, that is of course a possibility, but why did the fed then not ease much more to begin with? As the fed determines NGDP/AD we should expect that AD is already where the fed want it to be so why should it ease in response to a negative supply shock? It might counteract any negative shock to AD, but it would be very odd that the fed counteracted a negative supply shock by easing monetary policy. That by the way would also be bad policy. Yes of course it would be bad policy. The point is, the actions of the Fed-Treasury, regardless of their statements, are the result of a myriad of local-level decisions taken in response to local “needs.” Congress-Treasury votes the subsidies (declaration of disaster areas) and the Fed funds them. The result is an increase in AD, regardless of the reason for the decline in AS. This occurs on top of the very deliberate monetary easing (bond purchasing) that is occurring. This is the first chapter of Hazlitt’s Economics in One Lesson. 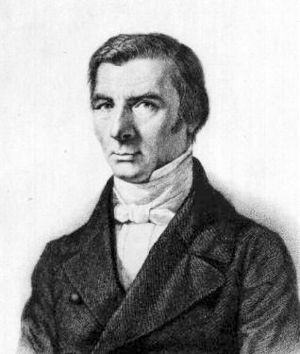 Christopher, the world would be much better if all economic journalists had read Economics in One Lesson. Hazlitts undoubtedly was the greatest economic journalist in US history. Lars, I am afraid your analysis is wrong. 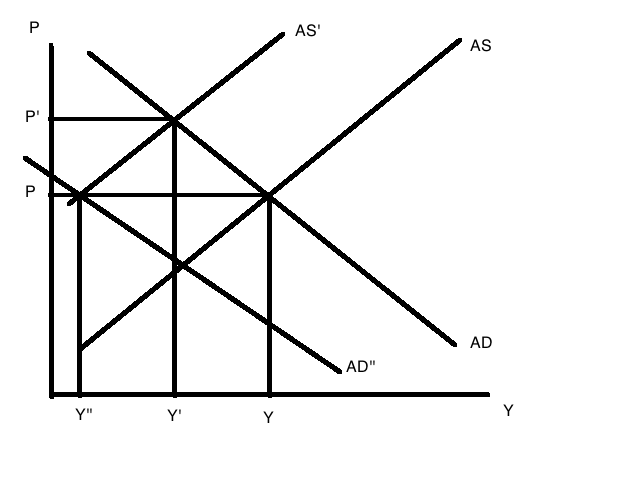 In the first diagram, AD should not be intersecting the first AS curve at full employment. There should be a price floor and a glut. Then Sandy causes AS to shift in, as the capital stock is damaged reducing the flow of potential AS. And AD shifts right due the multiplier. But the result could still be an equilbrium at the same price level. Then there is no incentive for Bernanke to reduce AD. Indeed it makes his job easier, as he has less stimulating to do until we get that sustained recovery. And actual output Y is higher. Suppose Sandy repairs were the only way to boost AD though. In that case Morici could have been right: although potential output is temporarily lower, actual output is higher now and in the future. Sandy allows a multiplier on AD, including a “free” (sans opportunity cost) upgrade of the capital stock, boosting output. I agree completely with the ideas here but the graphs are nonsense. I wish economists would stop pretending they are physicists.